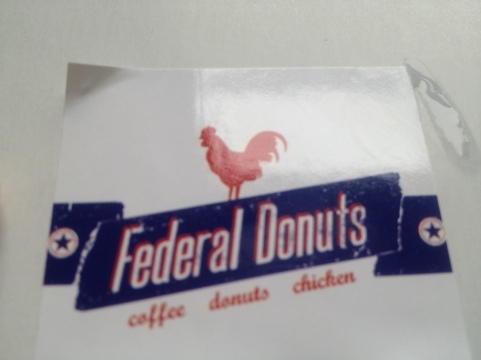 I had read some Grey Lady hype about this doughnut and chicken place in Philadelphia, so I had to check it out when I happened to be in the neighborhood. Unfortunately, no chance for chicken this time. But I’m ready to declare the doughnuts are good. Real good.